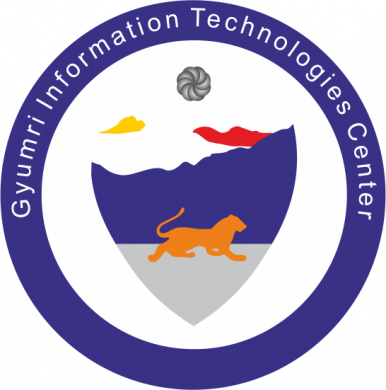 On March 15th, 2019, at 15:00, a meeting with the representatives of Gyumri Information Technologies Center (GITC) will be held at YSU Ijevan Branch. The meeting aims to present the details of the training courses to be implemented in Ijevan. In collaboration with Tavush Regional Administration, Gyumri Information Technologies Center (GITC), together with YSU Ijevan Branch, is launching specialized technical training programs in Ijevan. All groups are required to attend “English Language”, “Algorithmic Theory” and “Discrete Mathematics” training courses. The monthly fee is 10,000 AMD. After completing the training, the participants will have the opportunity to pass a two-month internship, strengthen their theoretical and practical knowledge, and get acquainted with the labor market. The successful graduates will receive graduation certificates and will have an opportunity to collaborate with the best IT and Engineering professionals and companies. The program is co-financed by the Fund for Armenian Relief. The selection of the participants will be through interview. The training will take place at YSU Ijevan Branch. For more information, feel free to call 094 034 034.